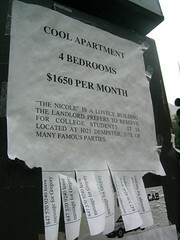 Renters: Tell landlords what you want and a little about yourself. Matching landlords contact you and make personalized rental offers based on your profile. Landlords: TenantMarket is a new service that helps landlords find the right tenants fast! Why waste time and money with newspaper ads, bandit signs, and MLS listings when TenantMarket can find great renters instantly?